Shipped product not what you expected? No problem. Follow these steps for no-hassle returns. We will email you a shipping label you can print, and the return will be noted in your account so you can track it. If you aren’t signed in, click "Sign In/Register" at the top of the website. If you are already signed in, click My Account. 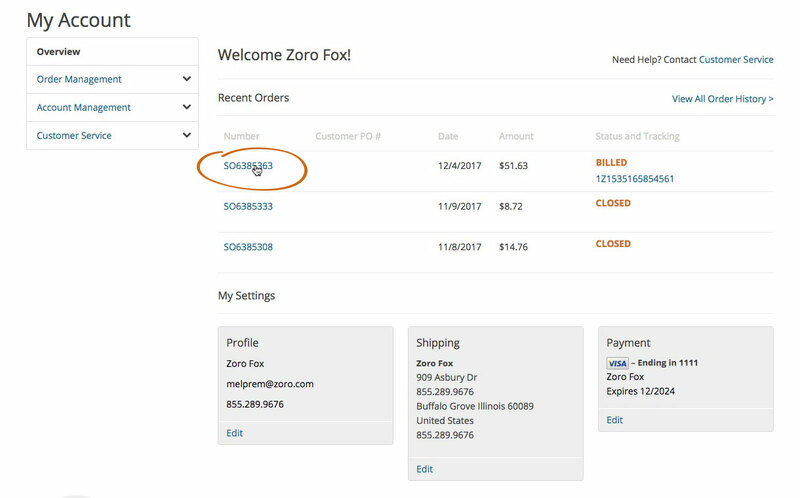 In My Account Overview, click the order number you would like to return. 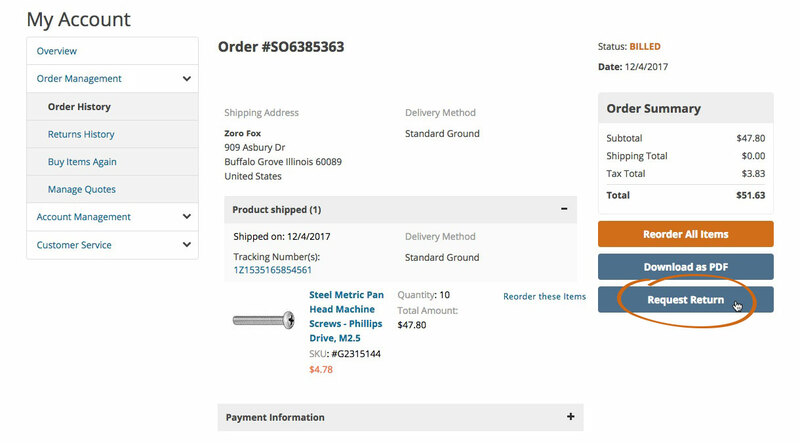 On the Order History page, under Order Summary, click the Request Return button. 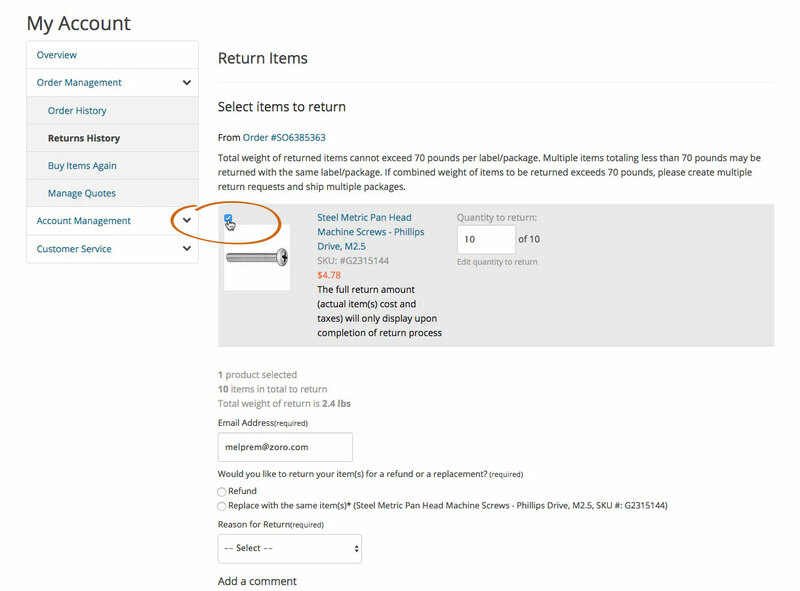 On the Return Items page, click the box next to the item(s) you want to return, and follow the prompts at the bottom of the page. A return label will be sent to the email address you provide with additional instructions. Any items that are not eligible to be returned will be noted, and you will be directed to contact Customer Service to learn more.